Earlier today, Hereditary Grand Duke Guillaume was on hand for the christening of the Moselle ferry Sankta Maria II. 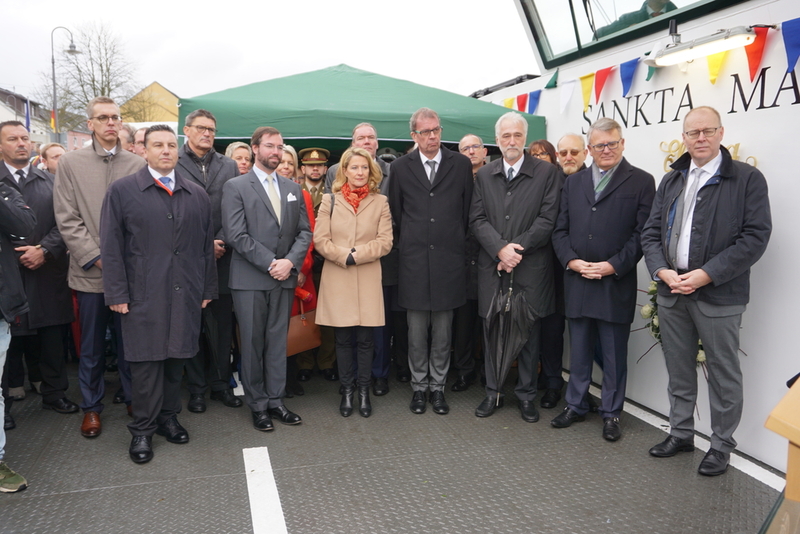 The new solar-powered ferry will connect the Luxembourgish town of Wasserbillig with the neighbouring German town of Oberbillig. A ferry connection between the two cities has existed for 50 years, but now it was time for a new vessel that will start regular services on December 10. More pictures of the event at RTL.